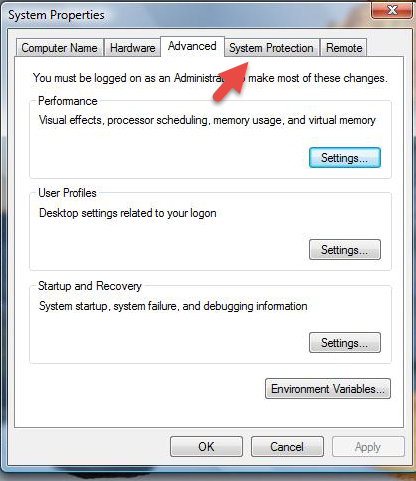 Step 3:-Click on System protection. 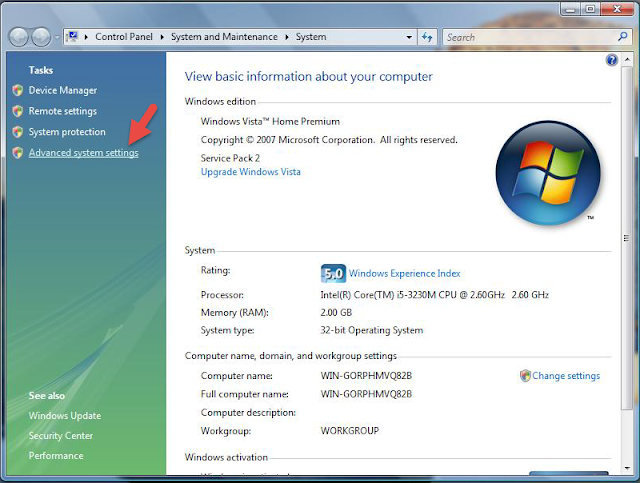 Step 4:-Click on Create. 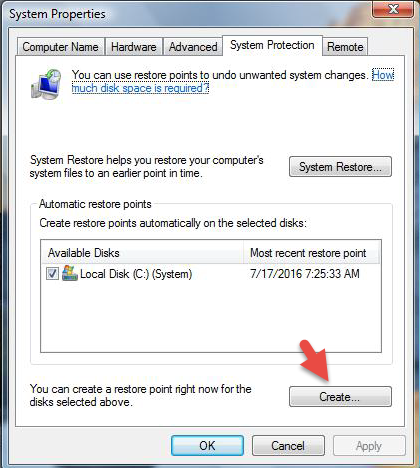 Enter your Restore point name in the box and click on Create. 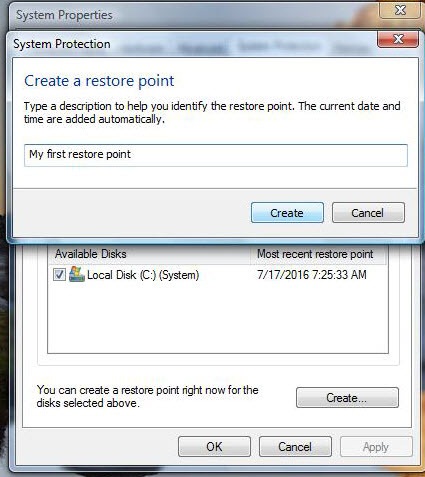 It will take a while to create a restore point. 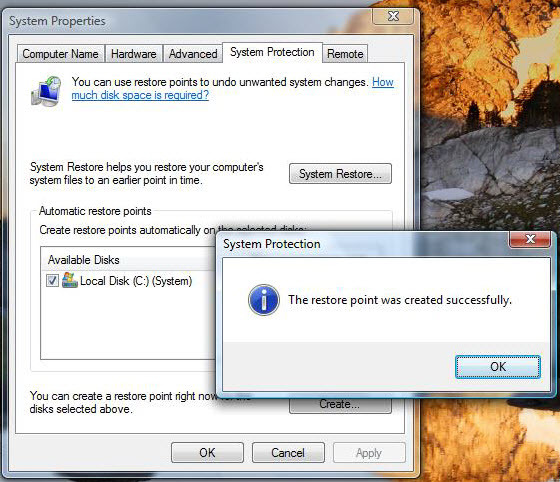 Once done you will see a message " The restore point was created successfully". 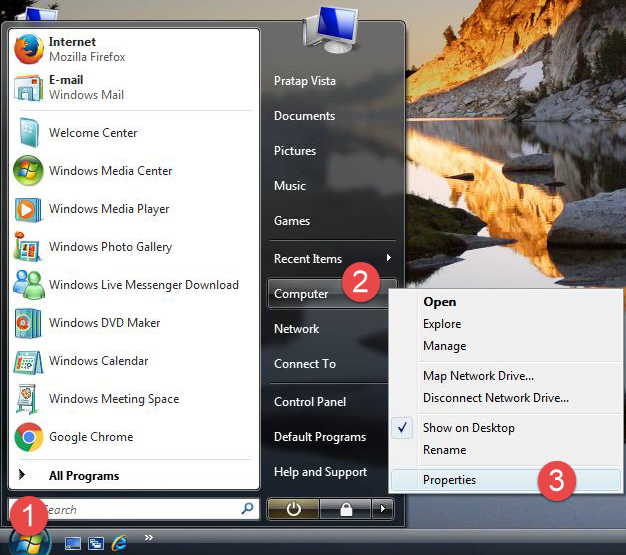 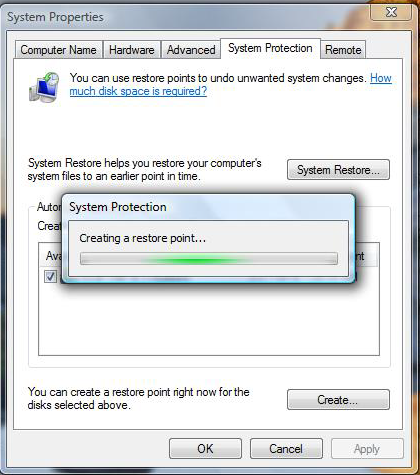 Go ahead and click on OK and that's all it takes to create a Restore point in Windows Vista.